What does Hanoi district map include? The latest updated Hanoi map depicts all districts in Hanoi, the capital of the Republic of Vietnam, and also the capital of most former feudal dynasties. Hanoi City is the second largest city in the country including the local population with about 8 million people (2018). Along with Ho Chi Minh City, Hanoi city is classified as a special type of city in our country. 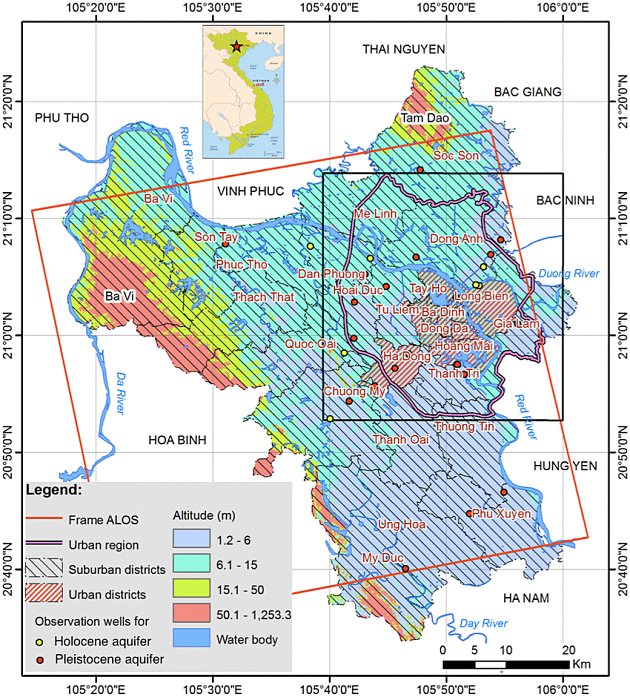 + 12 Districts: Hoan Kiem, Dong Da, Ba Dinh, Hai Ba Trung, Hoang Mai, Thanh Xuan, Long Bien, Nam Tu Liem, Bac Tu Liem, Tay Ho, Cau Giay, Ha Dong. 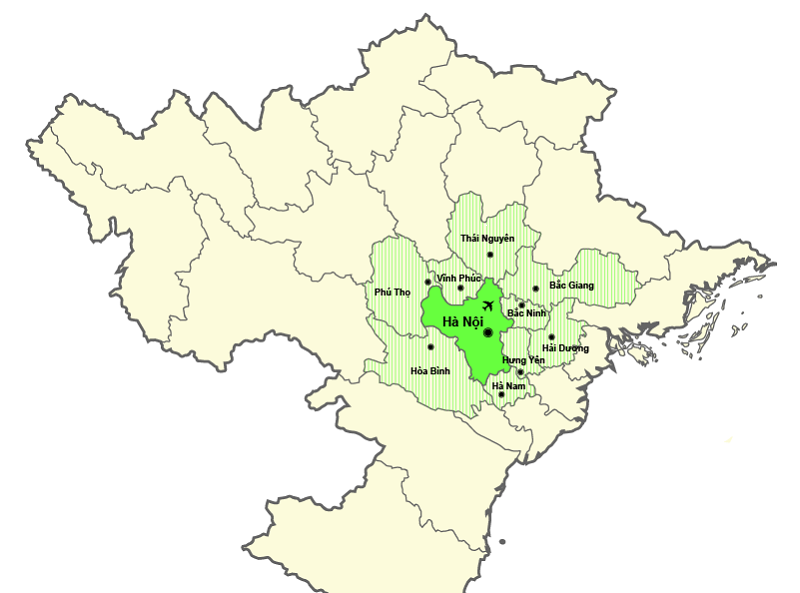 + 17 Districts: Ba Vi, Chuong My, Phuc Tho, Dan Phuong, Dong Anh, Gia Lam, Hoai Duc, Me Linh, My Duc, Phu Xuyen, Quoc Oai, Soc Son, Thach That, Thanh Oai, Thuong Tin, Ung Hoa, Thanh Tri. Map of Dong Da District: Show all famous information such as pagodas, parks, houses, hotels, restaurants, schools, bus spots namely Ba Nanh Pagoda, Ba Ngo Pagoda, Chua Boc , Kim Son Pagoda, Lang Pagoda, Phuc Khanh Pagoda, Hanoi Railway Station, Dong Da Go, Kim Lien Temple, O Cho Dua, Hang Dau and Trung Liet Mieu Stadiums, Van Mieu – Quoc Tu Giam, roads, ranges city,…. all are clearly shown on the map at the ratio of 1: 20000. Map of Ba Dinh District: Displays all information about roads, houses, temples, hotels, restaurants, schools, bus points or famous places here, for example: Temple One Columns, Bat Thap Pagoda, Quan Thanh Temple, Voi Phuc Temple, Truc Bach Lake, Cua Bac Church, Nguyen Thai Hoc, Hang Bun, etc. The scale of a map is 1: 20000. Hoan Kiem District Map: Displays all information about roads, houses, temples, hotels, restaurants, schools, bus points or famous places here, for example: Square August Revolution, The Huc Bridge, Cho Phu Phu Market, Dong Xuan Market, Ba Da Pagoda, Bao An Pagoda, Quan Su Temple, Vu Thach Pagoda, Hanoi Friendship Cultural Palace, Square 1-5, Ba Kieu Temple , Bach Ma Temple, Ngoc Son Temple, Dong Kinh Square Nghia Thuc, Ho Hoan Kiem, Hoang Khai, Hoa Lo, Ly Quoc Su, Hanoi Opera House, O Quan Chuong, Trang Tien Street, Ho Guom Turtle, Thap Ban Sword Lake, Hoa Phong Tower, Tortoise Tower, Vietnam National Library, Trang Tien Plaza, etc . The scale of a map is 1: 20000. Places to visit at night: Hang Buom, Dong Xuan, Pho Bia Ta Hien, Ben Han Quoc, Royal City, Time City, Hanoi Opera House. The most famous tourist destinations in Hanoi: Hoan Kiem Lake, Ngoc Son Temple, One Pillar Pagoda, Ba Dinh Square and Ho Chi Minh Mausoleum, Hanoi Old Street, Hanoi Railway Station, West Lake, Tran Quoc Pagoda. Tourist sites near Hanoi: Nui Tram, Ham Pig, Ba Vi Hanoi, Duong Lam, Ha Long Ancient Village, EcoPark, Ho Dai Lai, Bat Trang Village, Tam Coc-Bich Dong, Tam Dao, Ho Quan Son, Co Loa Thanh, Viet Phu Thanh Chuong, Chu Dong Tu Temple, Huong Pagoda. 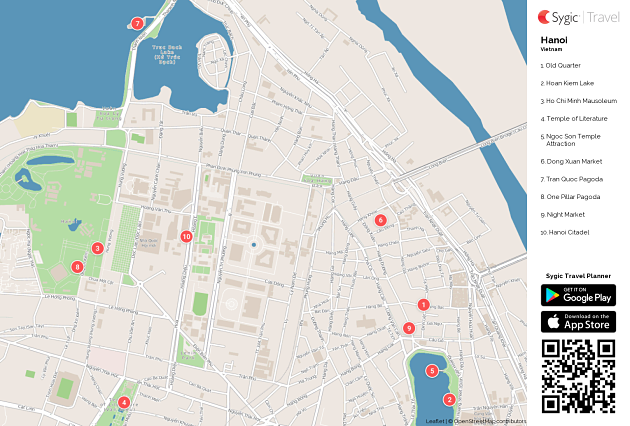 Hanoi map online, Hanoi Satellite map are also the types of maps that are being used the most because of the convenience and convenience for users when they can zoom so you can see the details and clearly the places we want to go.